My name is Keyur. I am an Interaction Designer. 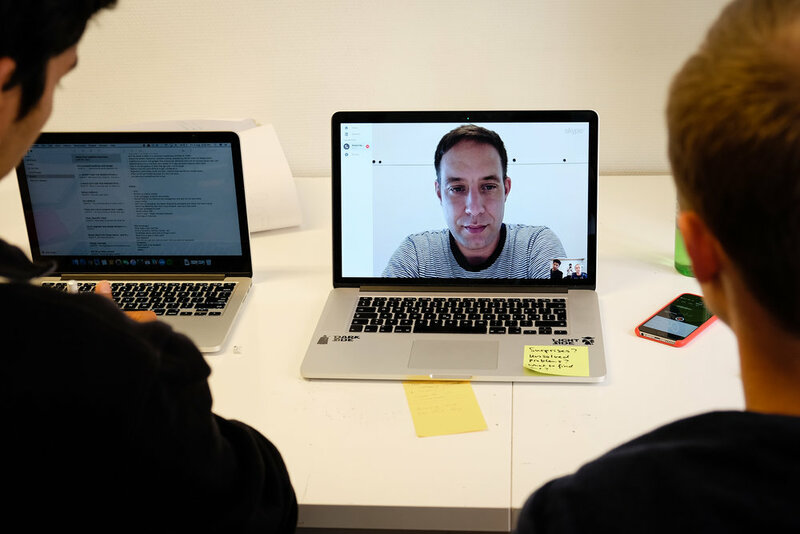 Currently, I am designing experiences & narratives for products across mobility, data science and wearable tech at Intuity Media Lab in Stuttgart. My work revolves around bringing clarity towards our relationship with technologies of today and tomorrow. Accomplished in 10 weeks as an individual project, fulfilling the thesis for the Interaction design programme at CIID. Phone based navigation systems have vastly simplified way-finding. Given the accessibility and ubiquity of navigation apps today, it is seldom that one would hit the road without consulting their phones. 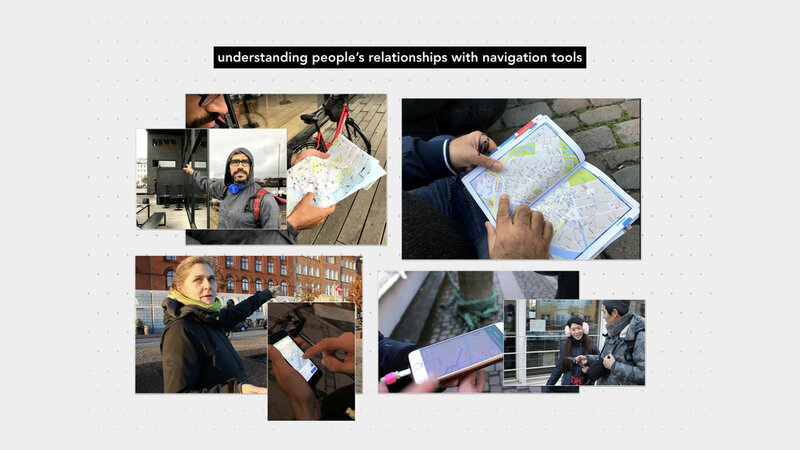 While navigation apps bring the assurance of us never being lost again, it also brings about a change in our behaviours - often playing on our ability to follow directions, rather than leveraging or reinforcing our own mental maps. 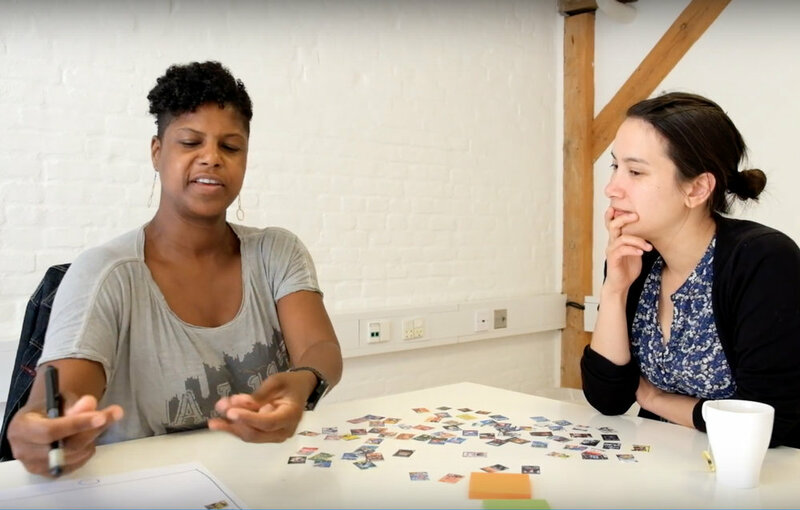 ‘Maps in the Mind’ is an exploration of small interventions geared towards helping people engage with their own spatial knowledge. 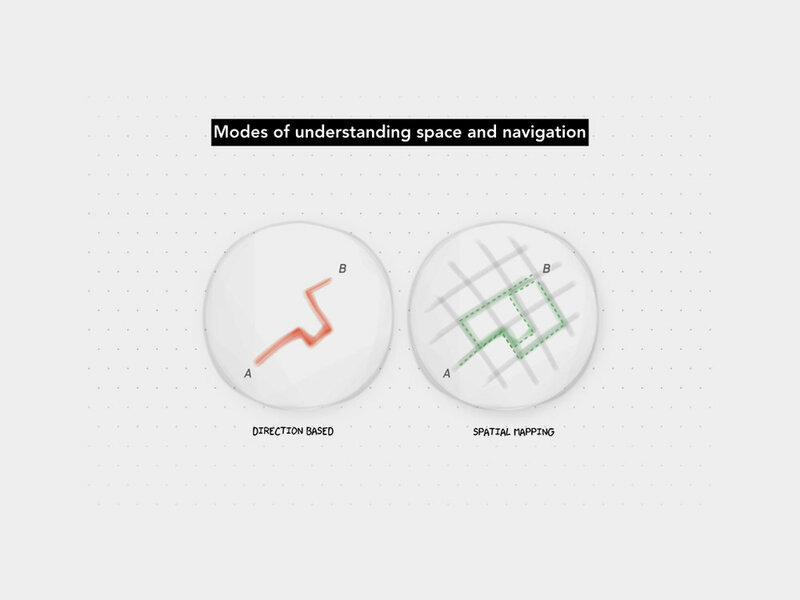 The solution introduces subtle interactions within navigation platforms aimed at nudging our behaviour - so the technology doesn’t replace our innate capabilities, but rather augments them. 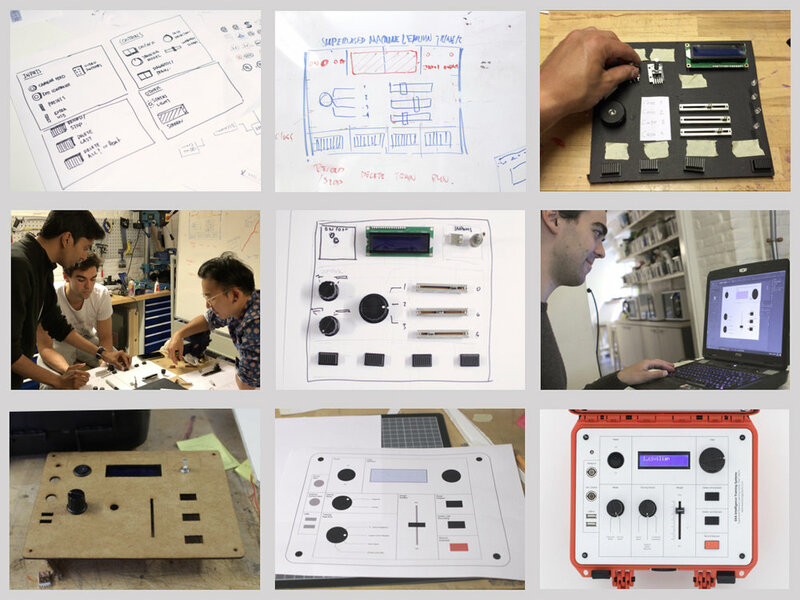 I was involved in all parts of the process with a focus on Prototyping and Programming. Accomplished in 2 weeks with Benedict Huebener & James Zhou. Mentored by Joshua Noble, Simone Rebaudengo & Bjørn Karmann. In the near future, cities are filled with smart infrastructure such as decentralized security cameras, self-sorting trashcans and intelligent street lights. But who do you call when smart things breaks? The future smart city is not a sci-fi dystopia made out of glass, concrete, and job stealing robots. It’s place much like our own and filled with the banality of everyday life and mundane jobs. Regardless of how you imagine the future smart city, someone needs to get in their white van, take out their ladder, and fix broken things. 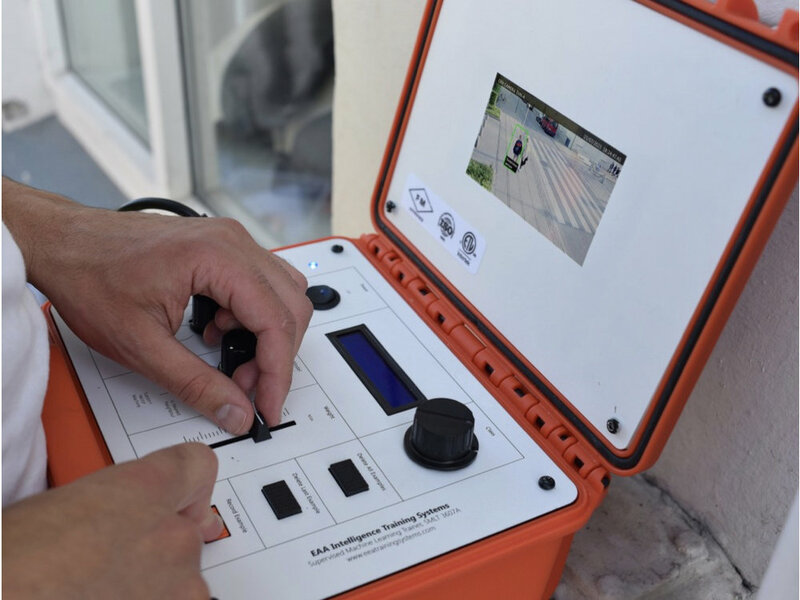 The SMLT 3607A or Supervised Machine Learning Trainer is a tool for the future city maintenance worker. He/she can use the SMLT to interface with abnormally behaving smart infrastructure such as a surveillance camera identifying people as eggplants. He/she can retrain the smart camera by recording new examples in real time. The future maintenance worker will teach the camera what it’s seeing and curator the training dataset. He/she will help the camera learn the difference between people and objects and decide who should be classified as an upstanding citizen or a petty criminal. Accomplished in 2 weeks as an individual project. As UX designers, a majority of our craft is focussed on fitting content and interactions into two-dimensional spaces. 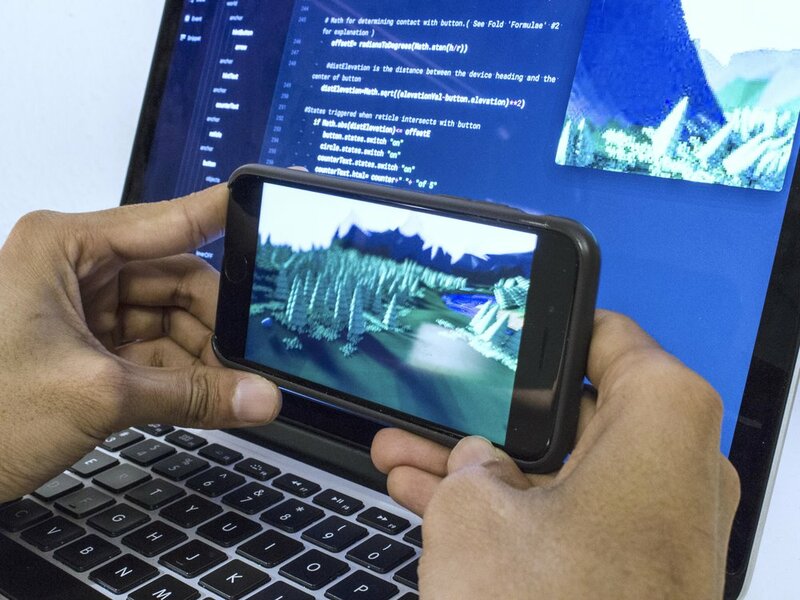 Virtual Reality offers a whole new space for creating immersive experiences and requires a completely different set of considerations than those in the traditional 2D practice. I spent two weeks learning to create a ViewMaster in virtual reality using Framer. As the outcome of the project, I created a documentation of a few such design considerations that I learned over the process of creating the prototype. For this write up, I design for the behaviour of a single interactive element - a ‘target button’. The exploration involves several experiments with the physics of the element to create a range of behaviours. 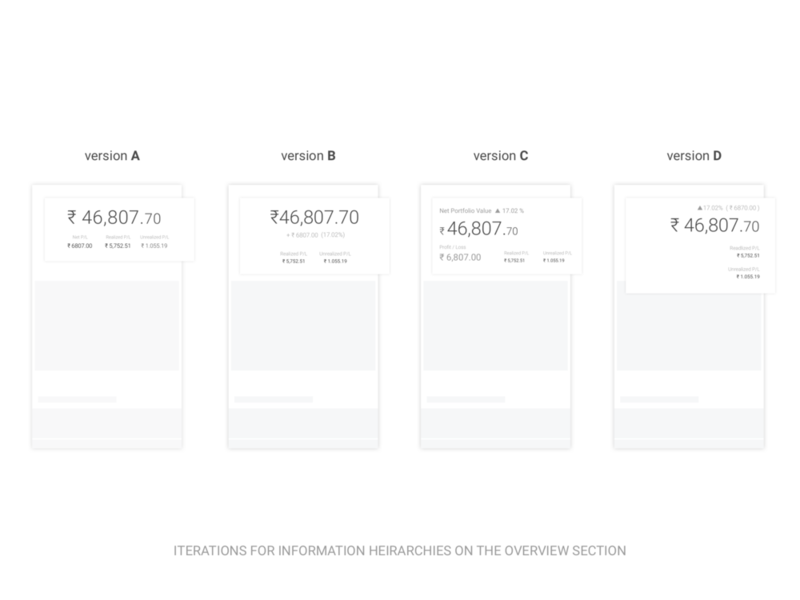 The scenarios designed for include element visibility, positioning and activation. All of these interactions were developed within the framework of the VR Module in Framer. I was involved in all parts of the process with a key focus on Research and Video Production. Accomplished in 3 weeks with Clara Subirats, Esther Bretschneider and Sebastian Hunkeler. Mentored by Mike Peng, Steve Bishop, Daniel Letts and Simon Herzog. In a world of mass consumption coupled with huge amounts of waste, how can we shift people’s behaviour around ownership? Can we take better stock of our shrinking living spaces and the things we already own? These were some of the questions we wanted to tackle with Shelve. In developing this service concept, we wanted to marry the idea of storing physical belongings with digital storage: to have your personal belongings be as easily accessible and shareable as any digital file. Through this service, we want to encourage a new kind of ownership – a shared ownership between a community of trusted friends, while retaining a sense of control. Shelve will pick up any belongings that you want to store with them, and allows you to manage these digitally through a companion app. Through the app, you will have a full overview of all the items that you have stored with Shelve, and can choose to share these with trusted friends or have it delivered back to you anytime. You can also borrow any items that your friends have shared with you, making better use of expensive equipment that is rarely used. Customers can choose between a subscription model or pay as you go, depending on their storage needs. This is a production project I was a part of with the team at Thought Over Design for a period of 4 months. 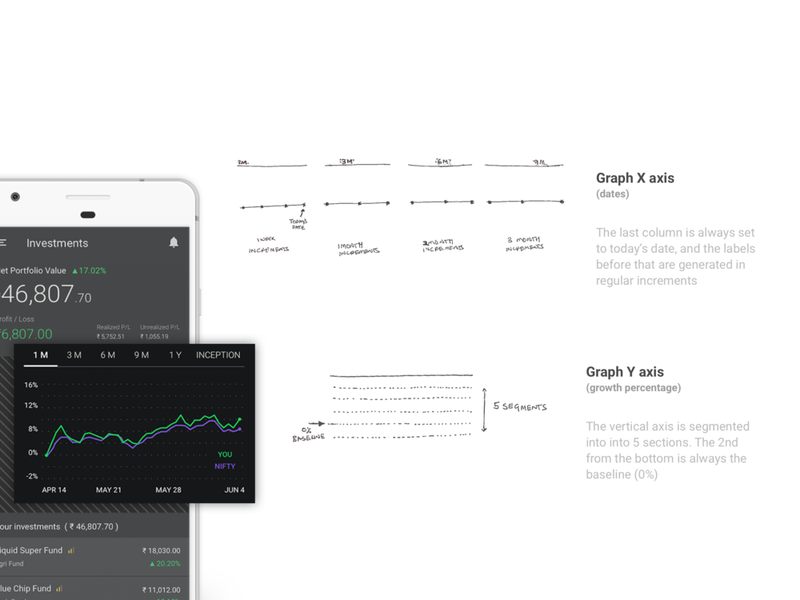 I was responsible for defining the content hierarchies, app flows and wireframes. The world of finance is complex, and even more so when it comes to investing. Investing process that is filled with complex jargons, perplexing tables of numbers and tedious paperwork often renders us confused and deterred. 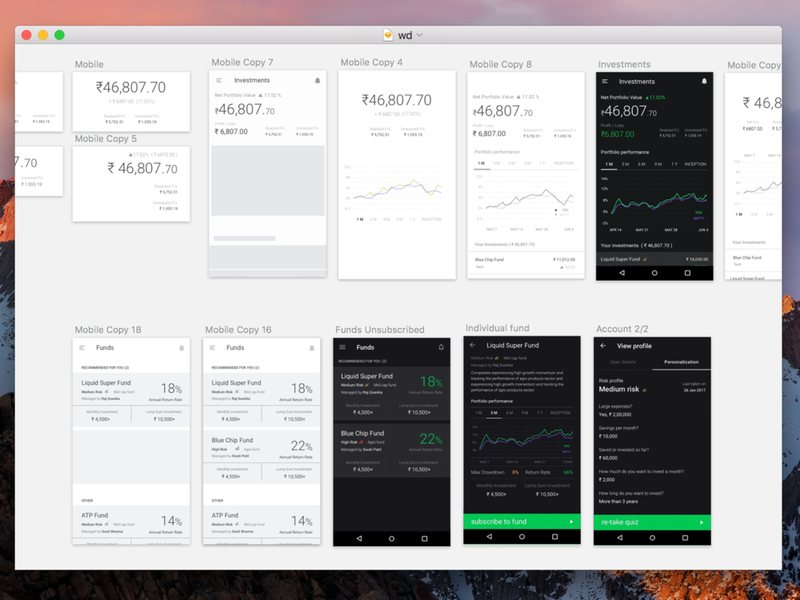 While there has been a rise of app-based investing platforms, they don't really change the state of affairs - most often they are just a digitised version of the existing offline services. The WealthDesk team approached us to help them with one goal - Simplify investing for the masses. Care and transparency were the two key principles incorporated into every aspect of the product. 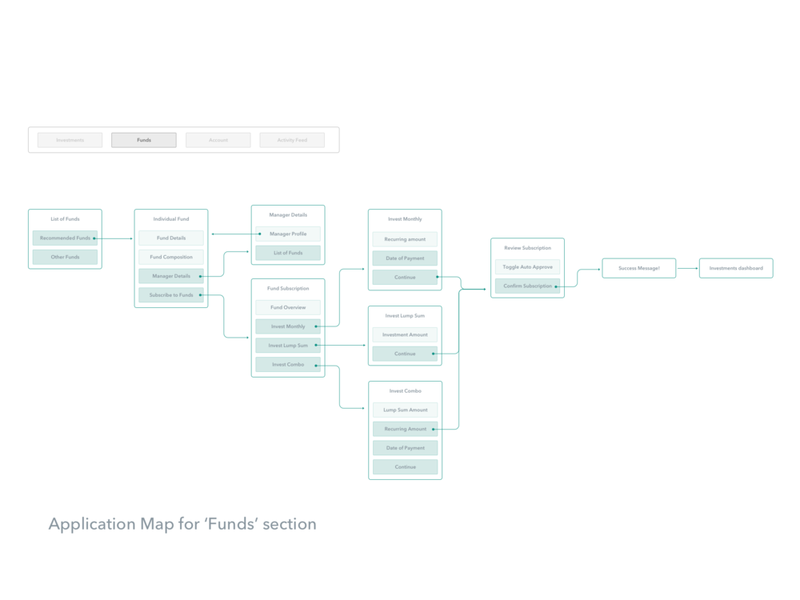 An application map was constructed detailing every possible scenario and working backward to trim the experience to as streamlined as possible. 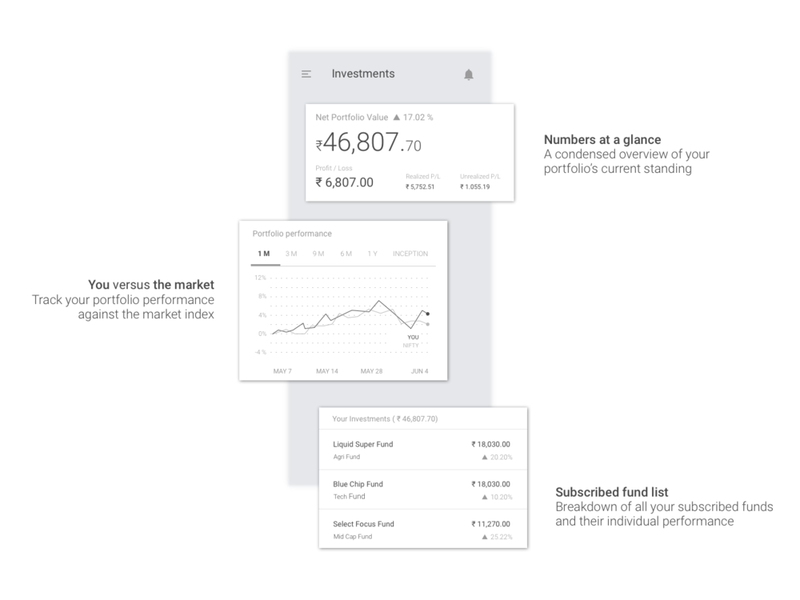 WealthDesk simplifies what could be a complex onboarding experience by coaxing users through a series of simple questions. 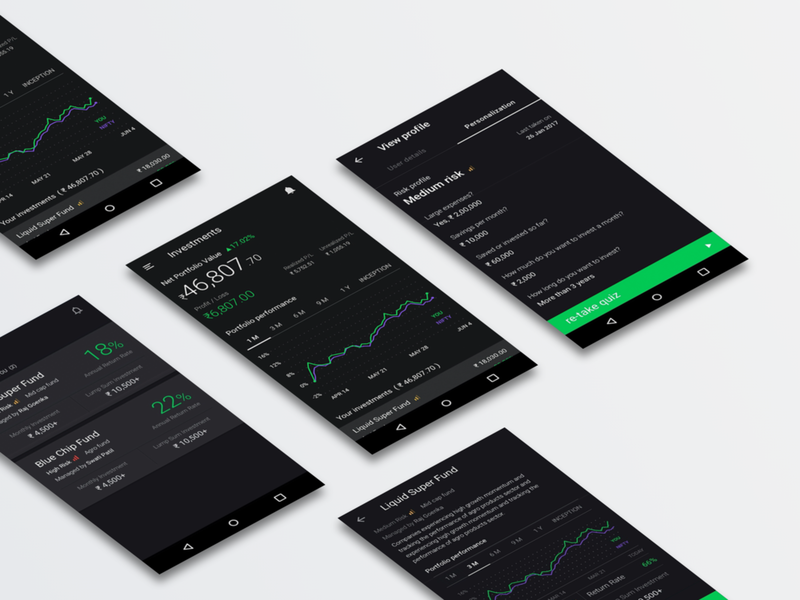 Using appropriate layout and typography to create a visual hierarchy across the app, the information was made easy to understand and thus enable informed decision making especially for first-time investors. Accomplished in 1 week as an individual project. Mentored by Christian Palino, Kristina Varshavskaya and Joshua Dickens from the Facebook Design team. I read a lot, but am I really learning? Presented daily with content that's up to date with my interests - reading articles, bookmarking them and then 'link jumping' onto yet another article is a common routine. So I asked myself- 'in this relentless consumption of information, does our knowledge really grow?' While several services vie to continuously deliver us new content, a moment of contemplation is what we are missing. Is there a way that along with findings new things to read, the tech can enable us to reflect on the things that we already know? 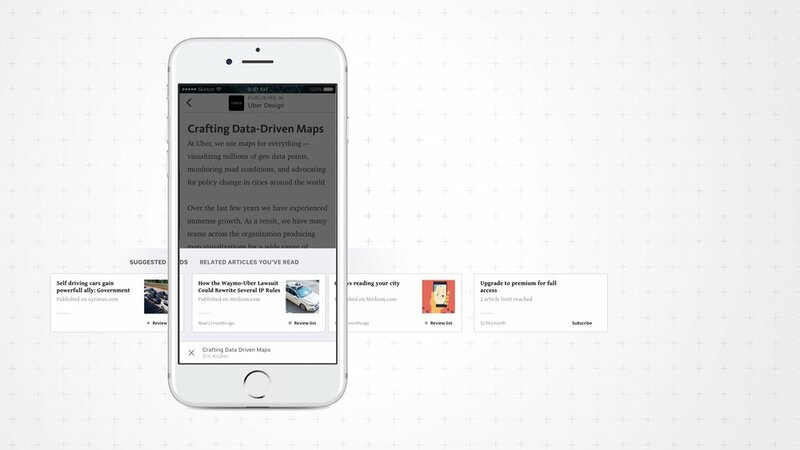 Recollect is an app that gathers articles that you have previously read and presents a chosen few related to whatever you are currently reading. You can decide to either give them a quick glance and get back to your current article or take a moment to reflect with the summaries of the previously read articles. The key posture of recollect is parasitic; meaning a majority of its experience is delivered as it runs 'on top' of other apps. This is to ensure there is minimal friction to the primary experience of reading. 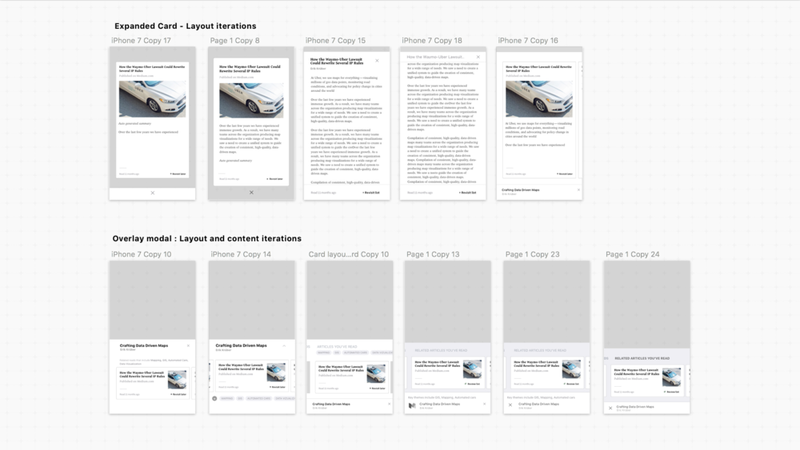 Because this is a content centric app, a majority of my process for this project involved iterating layouts and content for achieving the most appropriate information hierarchies. 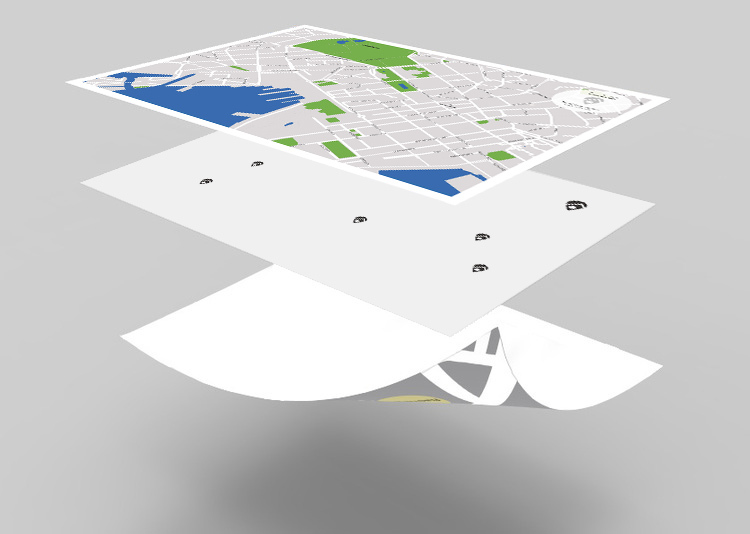 The other key area was perfecting the micro interactions with Origami through rapid iterations.